Most long haired people I know have a couple of these lying around. 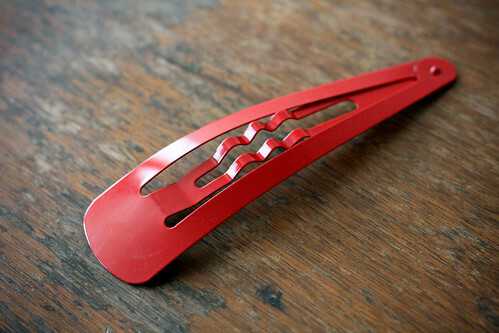 They are extremely handy for securing a cowlick, or subduing an errant flyaway. What could possibly improve on the design of such a simple thing? My hair ‘aint going anywhere today. Thanks, H&M! I want to put a piece of cheese in one and see if I can catch a mouse. OHHHHHHH that’s the coolest thing ever! It makes you look like you’re really tiny, like something out of “Honey I Shrunk the Kids”. Awesome. 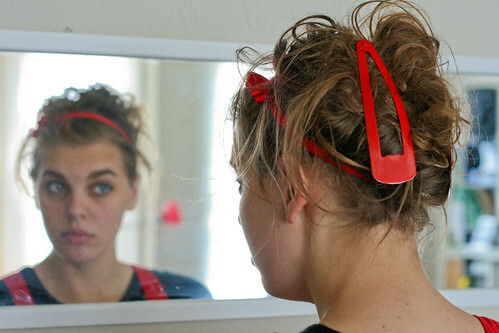 i think i need some of those – my hair is continually too thick to fit into clips. 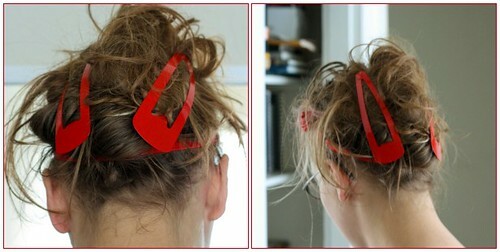 GIANT clips are the solution. I need me some a those! where caan I get one? … If these come in blue or black, I will SO own them in the next 5 minutes.